Our universal love of beige-toned, foods of convenience served with a side of guilt has come of age. 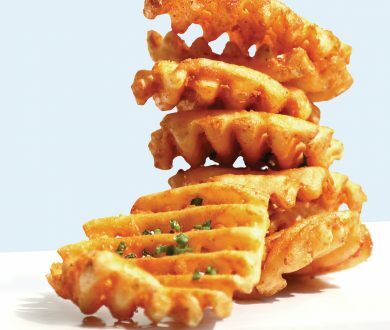 Ceremoniously undergoing a heightened evolution at the hands of some of the country’s finest chefs, the new incarnation of the humble fast food, might be just as fast, but it’s a hell of a lot fancier. 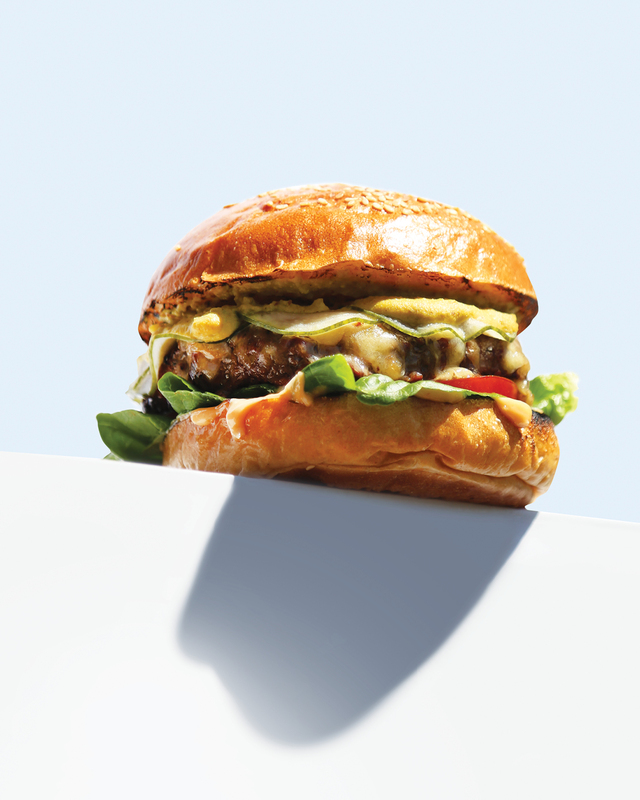 The definition of refinement, in a burger. 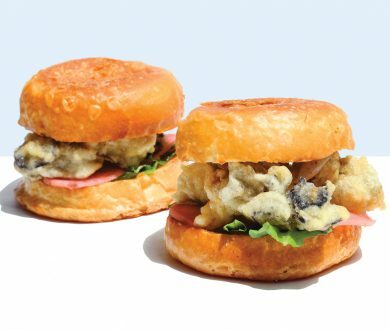 If Sinatra were a burger, he would taste like this. 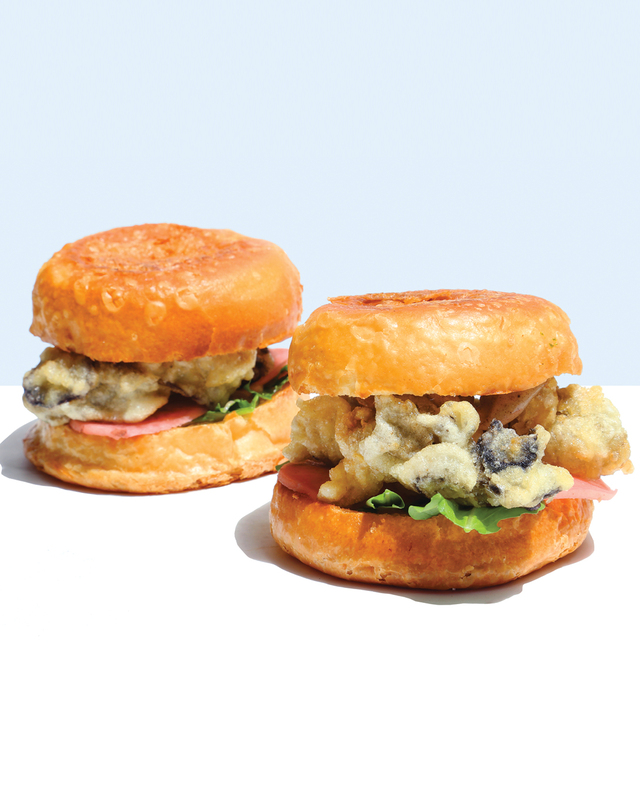 The harmonious balance of flavours encased between the sesame bun has to be tasted to be believed. 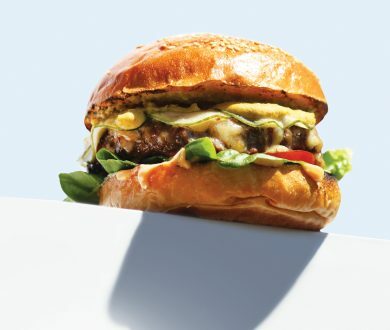 A succulent wagyu beef patty takes centre stage, topped with a slice of melted smoked cheddar cheese, jalapeño mustard, lettuce and tomatoes and finished off with crunchy pickles. Pick up the beast, bite into it and hear the sweet serenade of Ol’ Blue Eyes’ ‘I’ve got a crush on you’. 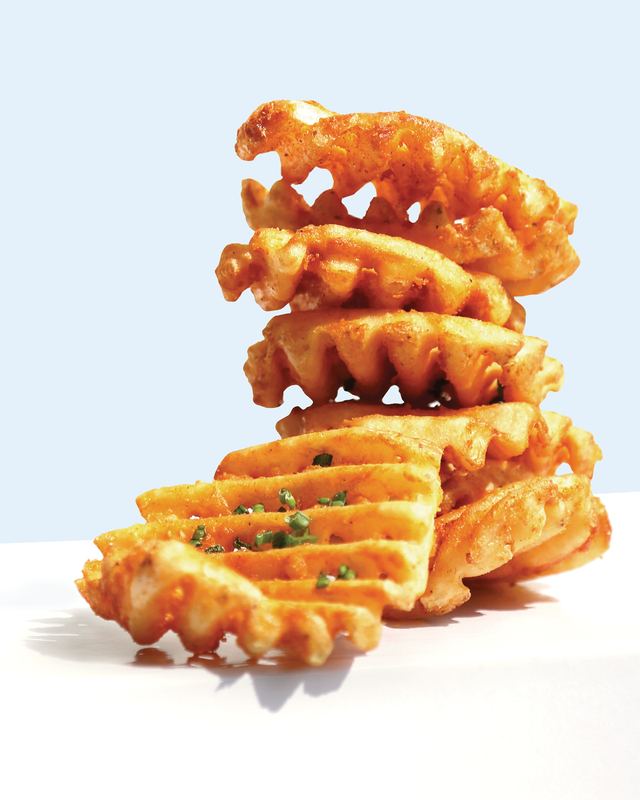 It seemed almost revolutionary when waffle fries were first introduced to New Zealand kitchens in the 2000s. 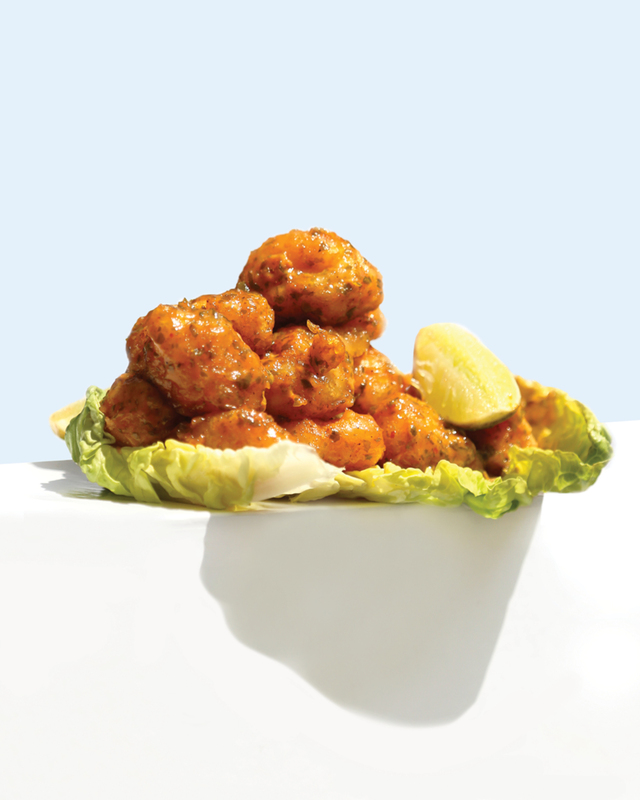 Elevating the beloved classic, Culprit, the purveyor of contemporary cuisine, has taken a punt, by drizzling its iteration in crayfish oil before seasoning the crispy chunks of potato with paprika salt. And boy, has it paid off. 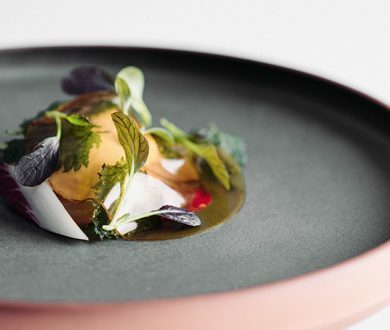 Served with an essential side of crayfish head mayo (derived from an oil made from the crayfish heads), this is fish and chips at its most inspired. Going above and beyond the traditional, and somewhat uncouth garlic bread of old, Lowbrow has single-handedly resurrected the childhood favourite. Four pillowy-soft rolls with a salted, butter crust join together in a big cloud of bready goodness. 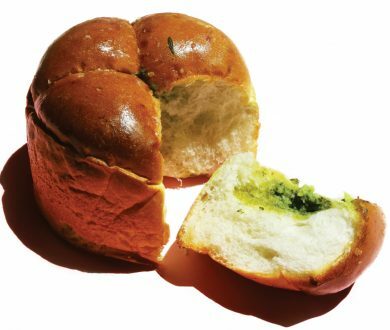 Tear each roll apart and you’ll notice that the culinary minds at Lowbrow have gone above and beyond the traditional method of using a knife to spread the garlic butter on the bread. 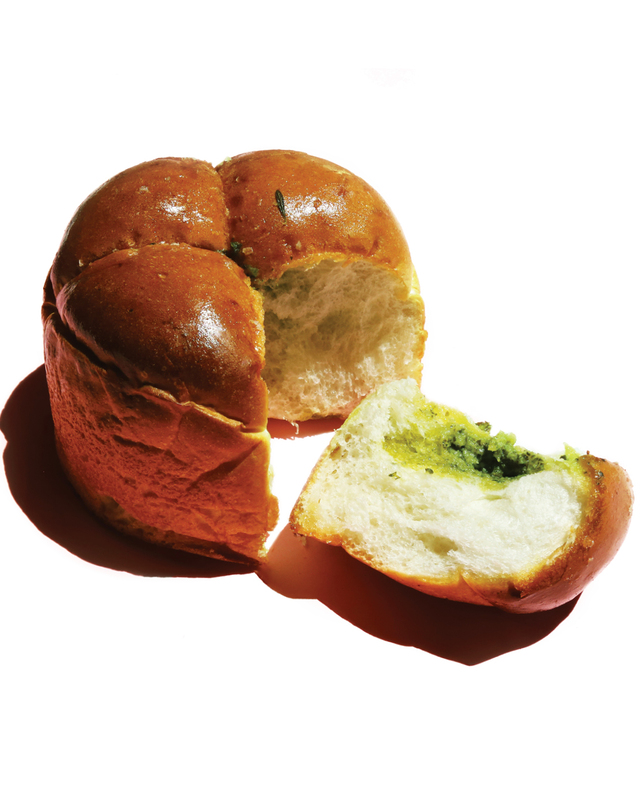 Instead, they’ve injected garlic and parsley butter into each roll, which ceremoniously soaks into the warm, fluffy bread as it cooks. 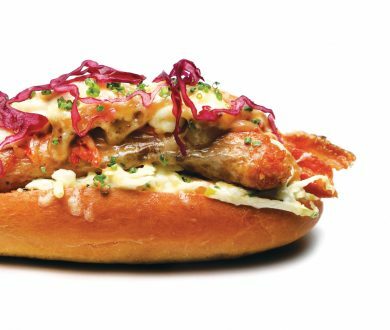 Long affiliated with New York street peddlers, the hot dog is an original member of the fast food family. 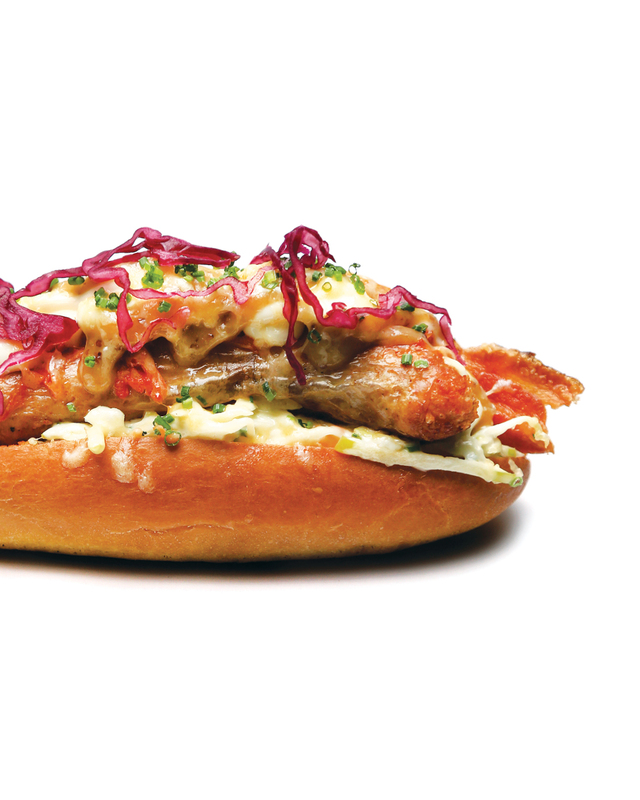 Putting a Korean spin on the classic, Han’s head chef Min Baek has replaced the mystery-meat with premium pork and spicy kimchi sausage — made via a collaboration with Grey Lynn Butchers — served in their own house-made soft bun, and smothered in a cabbage slaw that’s coated in an oozy mayonnaise and maple mustard. Finished with melted cheese, this hot dog is one of a kind. 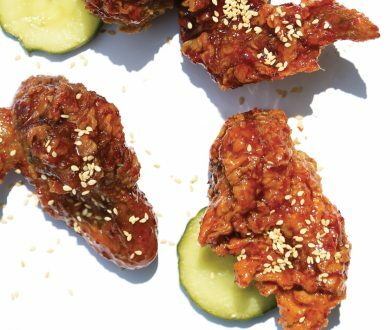 Made famous by a certain bearded Colonel, Auckland’s rooftop eatery, Seven has stepped things up a notch with its delightful incarnation of popcorn shrimp. 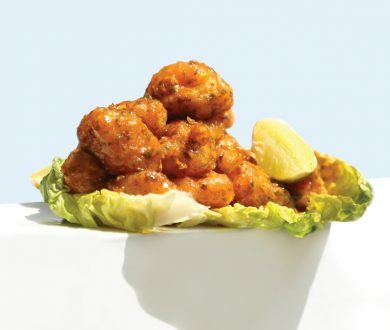 Each crispy battered morsel contains a plump delectable prawn. 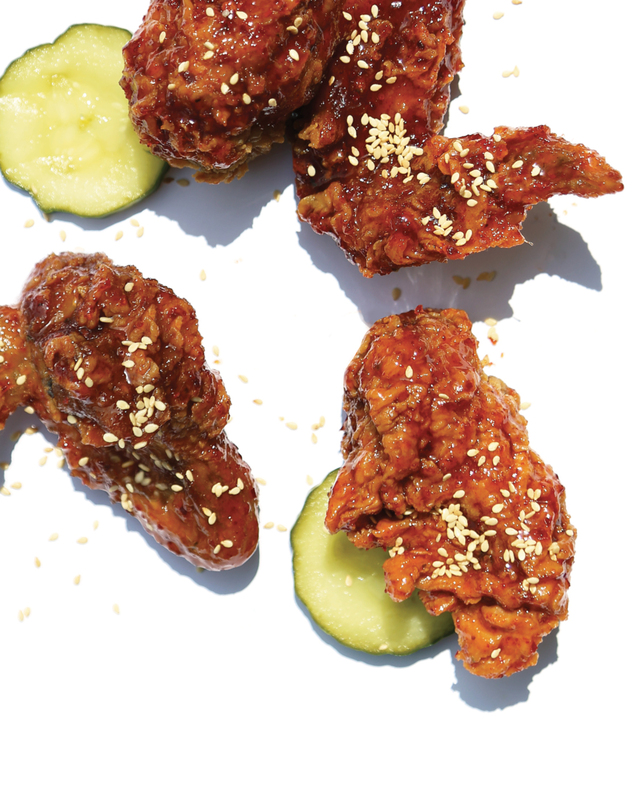 The bite-sized wonders are sprinkled with fragrant fried basil leaves before being coated in a zingy, spicy sriracha-spiked dressing. Once you pop you can’t stop. 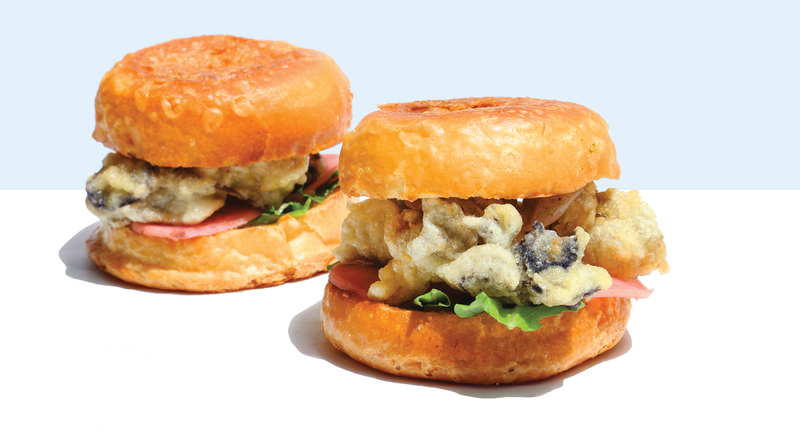 Head Chef Maia Atvars is playing with fast food preconceptions with his latest creation, the fried oyster muffin. No doubt inspired by the offerings served under the ubiquitous golden arches, Atvars’ dish sees soft English muffins doused in butter and grilled for a supremely crispy exterior, before being filled with battered and fried oysters, a creamy black garlic aioli sauce and thin slices of daikon radish to elevate the crunch. Eat your heart out Ronald.